Hi! 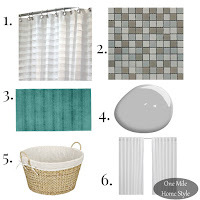 I'm here to tease you with the tiniest of sneak peeks of our Master Bathroom makeover. I have just a tiny little bit of work to do before I can finally say it is complete. Fingers crossed that by the end of the week I will be sharing the full reveal of the makeover!! 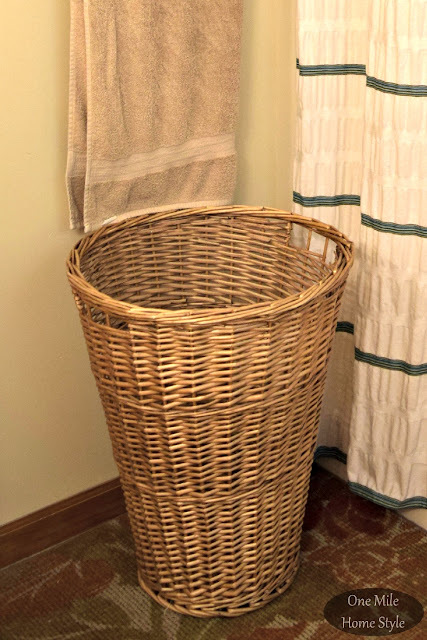 The hamper itself was in great shape, so there was no reason to run out and buy something new for the room makeover. I wanted to add a little more personality and brighten it up a bit too. 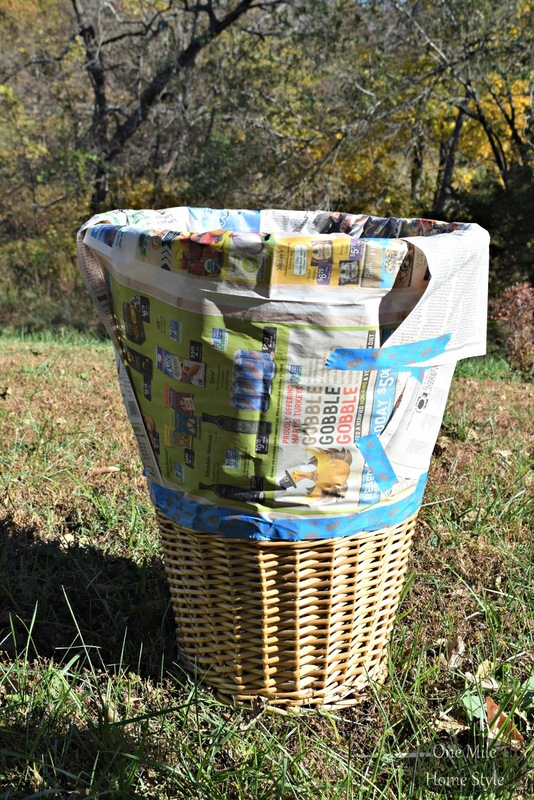 Enter the painters tape and a can of white spray paint. As you can see, there were pretty well defined sections which made this pretty easy. I just taped off above the section I wanted to paint, and covered the rest of the hamper with newspaper to avoid any overspray issues. And, perfection!! The white paint totally brightened up this hamper and the paint-dipped look makes it a great accent piece in this space too. And since I had everything I needed on hand, this "new" hamper was a very budget friendly, FREE update. 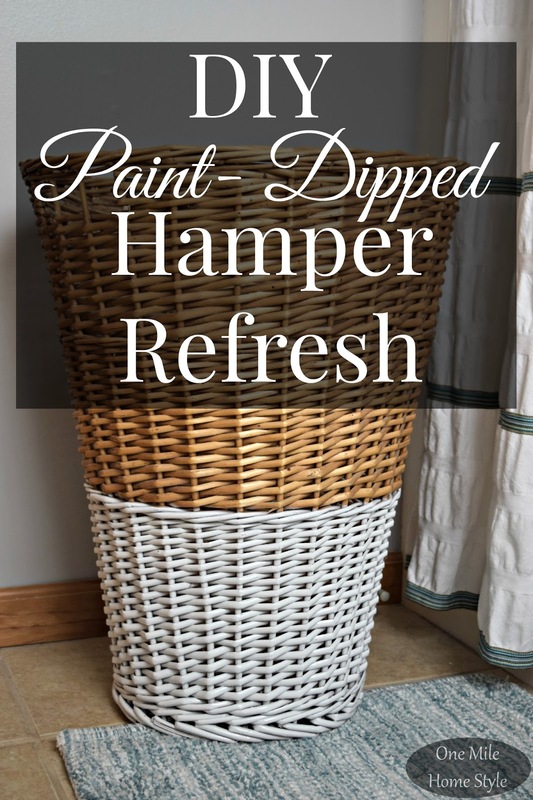 I'm so happy with how this paint-dipped laundry hamper turned out! It really is the small little details that make a room shine, and can take a space from good to great! The paint really brought your wicker hamper up to date. It looks great! I'm thinking I need to try that on my ugly wicker bathroom trashcan. There may be hope for it yet. Thanks! Fun! 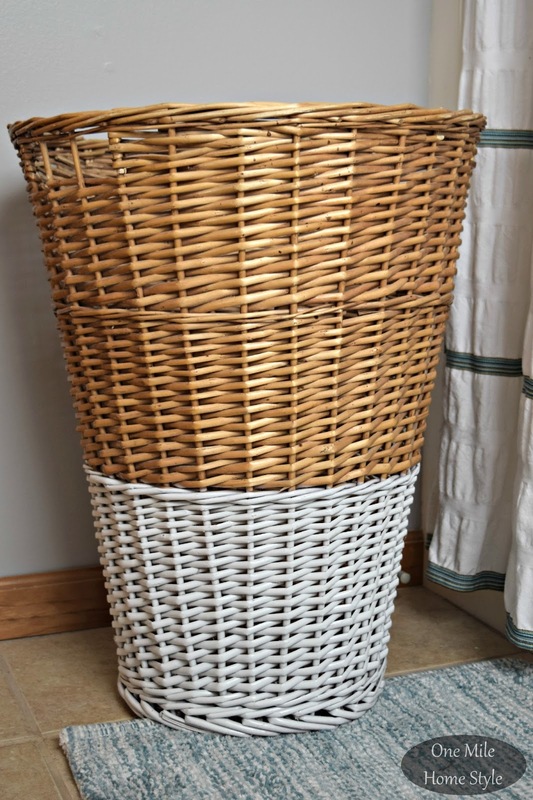 I need a new hamper, love this idea!